Are you looking to run a trivia night for your friends? Coworkers? Students? Bar patrons? No matter who the audience is, setting the whole thing up can be quite daunting and there’s a lot you need to consider, but no worries — I’m about to break everything down for you. Having a fun trivia night is as much an exercise in logistics as anything else; you have to make sure to have all the right supplies on hand and all your rules and questions at the ready. If you’re just looking for some questions you can print out quickly, head over to the Trivia Bliss quiz generator. Otherwise, keep reading for more information on how to create a truly memorable evening! If you think of a trivia night as a theme party, it makes a lot of sense. Having trivia as the “theme” gives your guests a common element, so everyone can get to know each other in a comfortable and relaxed setting. Trivia nights are versatile events, and can work great for pubs, office parties, family reunions, neighborhood gatherings and any other time strangers get together. The structure of trivia games is such that people can relax and let their natural guards down enough to get to know one another on even ground. Trivia themes can also be tailored to the group participating in the event, so that everyone involved will be able to contribute (like sports trivia if you’re having a trivia night for your softball team), and teams can be pairs or larger groups to facilitate a smooth event. Groups can team up for a charity event, or friends can partner to take on the other regulars at the local tavern. Of course, a trivia night need not be a large event at all. The game lends itself equally well to small get-togethers with close friends. A simple couples’ night can quickly become a ruthless competition, though it’s all in good fun. Consider splitting couples into separate teams for a truly unique experience. The memories your guests make will last long after the party ends. The following list is not a step-by-step guide, but it will hep you consider everything you need to decide before running a trivia night. Using these prompts should help you turn a simple gathering into a fun and memorable event. Use the suggestions that work for you, and don’t be afraid to put your own spin on things. With a little planning and forethought, your trivia night will be one that brings together old and new friends alike! The first consideration that needs to be worked out is who is attending the event. The types of personalities present will go a long way toward helping you decide what theme the trivia questions follow. Your friends and the regulars at the pub will likely be knowledgeable of a different set of facts than will high school students, for example. Setting up the game so it plays into a group’s interests makes the game more fun for everyone. Or, consider using a trivia night as a means to build unity in the workplace. Team-building exercises help coworkers build bonds that last when they return to work. Organizations can use the same model to raise funds, as well. Any time you need to show a large group a good time, knowing how to host a trivia night gives you a unique way to entertain. Hosting a trivia-themed block party for new neighbors can get everyone together. Neighbors that know each other watch out for each other. Your own living room or an outdoor pool area would be ideal settings for this fun way to get to know your neighbors. Of course, you can also hold a trivia night for just your own family. Your home is the perfect setting in that case, but otherwise you have to be sure that the location can acommodate your group. The home venue has certain advantages over more public places. When planning a party at a neighbor’s house or your own, there are no reservation fees as there would be if you were renting a space. The timing is also not limited in the way that it would be if reservations were required. When at home, you have more control over decisions like decorations, as many facilities that cater to these events have rules limiting decorations. There are times, though, when a home is ill-equipped to handle a trivia night. If the size of the gathering exceeds the number of people that can comfortably fit into the largest room in your house, you should consider a change of venue. Parking space may also limit your home to a smaller crowd. 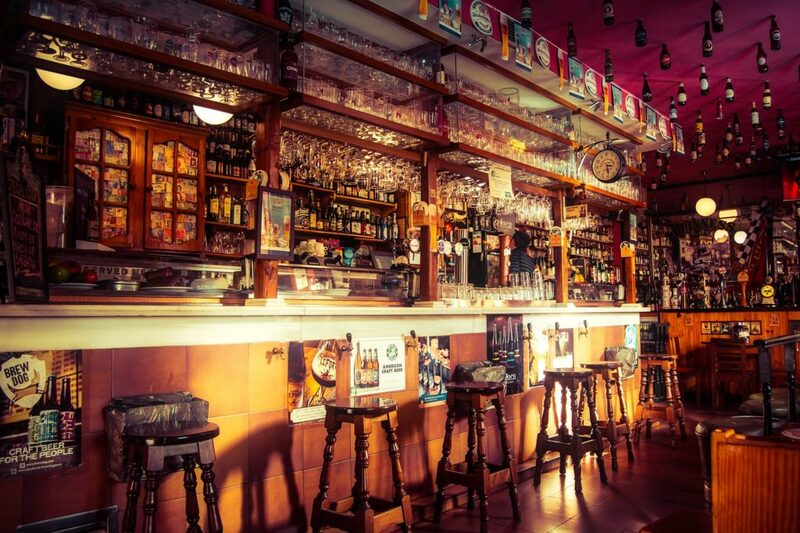 Pubs and bars make great places for trivia nights. The game goes well with most atmospheres, and a trivia night can turn a quiet Wednesday into a money maker. A well-advertised and regular trivia night can also drum up new business for the local bar owner. It not only brings in a different crowd, but one that is typically calm yet ready for a good time. When an even larger space is needed for a fundraiser, consider renting an event hall. The groups that own these buildings earn modest revenue through providing a space for exactly these types of functions, and they are normally happy to work with customers on scheduling. They will also often provide a cleaning service after the event, so you won’t need to worry about straightening up a messy house when everyone goes home. The equipment you will need to put on a successful trivia night will vary, depending on the size of the event you are planning and the number of people attending. For a small party with close friends, a simple list of written questions and answers and a pad for keeping score may suffice. For a larger group — or if you want to make more of a show of it — electronic devices can help keep things moving along. The pub or bar owner seeking to turn a profit off a trivia night has ample solutions through online subscription services, but such interactive solutions are also available for large, one-time events like fundraisers and corporate gatherings. Companies like the Interactive Entertainment Group offer equipment rentals for trivia games that operate similar to the ubiquitous pub trivia games. The equipment must be picked up in person, however, so this solution is a no-go for people outside of the areas this company services. You may want to consider checking Yelp for other trivia event companies in your area. When going it alone, consider using the minimal amount of equipment necessary. Going unplugged in as many ways as possible will keep costs down, though it also will require more work on the part of the event hosts. Phone apps that allow players to use their own phones to play can be a frugal alternative, but players should come prepared with the game already downloaded. And you can also use sites like Trivia Bliss that work well within any parameters that you set ahead of time. For example, you could challenge your players with an unending stream of random questions from the database. 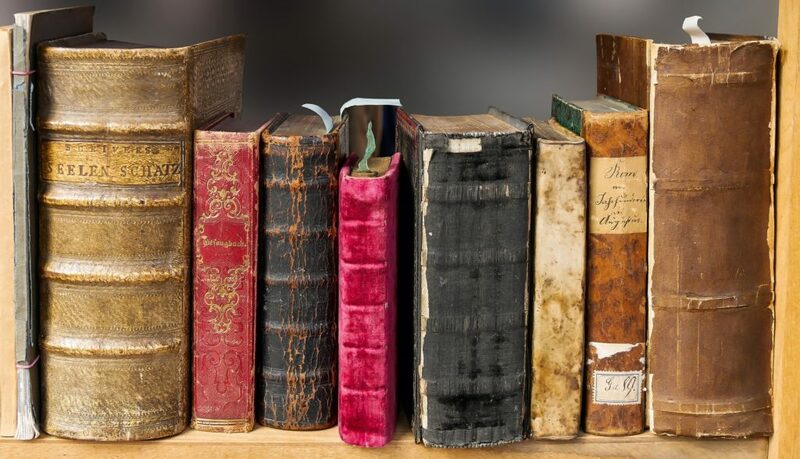 That said, an electronic means of conveying the subjects and questions may help things run smoothly, especially if there will be a larger crowd of competitors. A big-screen TV or projector can make it so the players in the back of a room can still see the subjects and questions, and a PA system can help everyone hear instructions. Another tool to consider is a buzzer system to notify the host when one team knows the answer. 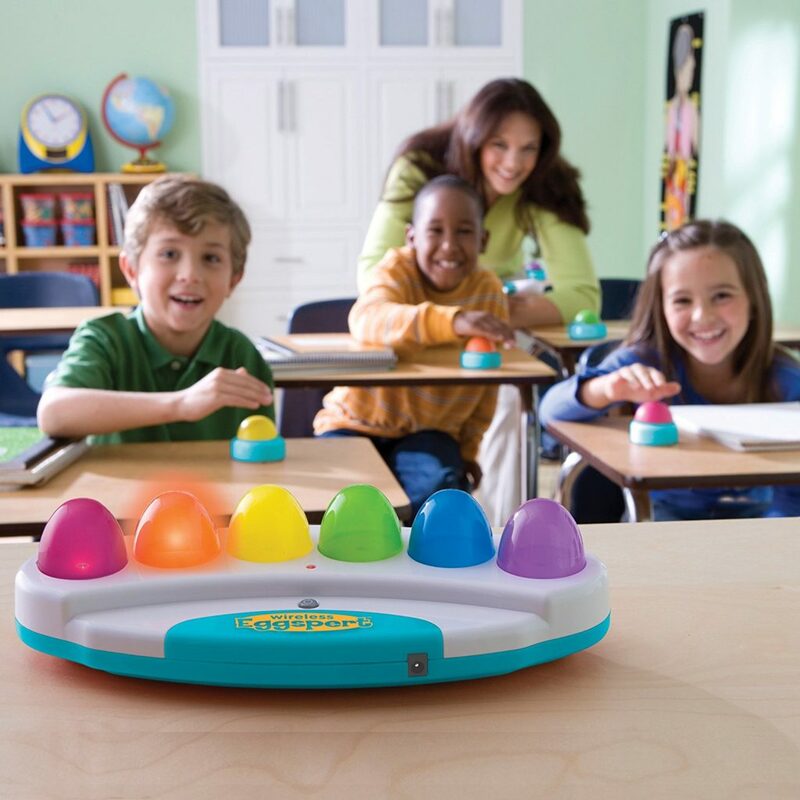 Systems such as the Eggspert wireless buzzer system or one from Digigames can be set up to light up only for the first team to buzz in, keeping the event orderly and organized. There are cheaper alternatives with fewer features, and more expensive and complex systems on the market as well. The size and number of prizes should begin and end with what kind of budget you have. If you’re doing a small gathering with friends, you might not even need to give anything away to the winner (or just some kind of small chotchki). If you’re with a company, perhaps there’s something within the department budget that can be purchased or some company-branded swag. Or get crafty if you’re on a tight budget and make a trophy or fancy certificate for the winner. Bars and pubs will often give out free drinks to the winners each week. If you’re a retail operation, you could give out a gift card, or even some free product. A free pitcher of beer is enough to keep many people coming back week after week. If you’re running the event as a fundraiser, do you have any sponsors? Could they donate one of their products or some samples that you could give away as a prize? This will give them the promotion they’re looking for and also give your players something of tangible value to take home with them. For any type of event, food and treats are always a great bet for something that will win the crowd over. The structure of your trivia night will depend largely on whether you choose a theme or go with a contest of general trivia. Themes can be extremely narrow, such as a specific TV show or movie genre, or they can be more general like the 1980s or music. Themes can help make the event memorable, and you can encourage guests to wear costumes or bring on-theme snacks or treats. Try to make the theme offbeat and original, yet still general enough to allow for lots of interesting questions. Some very popular themes that many bars use to draw a specific crowd include Game of Thrones, Star Wars, or Harry Potter trivia. Consider grouping strangers together on teams to break the ice and get them speaking. Group experienced players with inexperienced players so they can make up for each other’s shortcomings. Larger groups can help each other when discussion is permitted, but smaller groups make for a speedier game. Another chief concern should be the scoring system of the game. One point per question may suffice, but a tiered system where more difficult questions earn more points can reward players for their most obscure knowledge. Also, consider a grand finale type of question – such as the Final Jeopardy question ­– where contestants wager based on their knowledge of a given subject. This way, it is much harder for one person or team to run away with the contest. Decide on the structure ahead of time to keep the game from lagging. 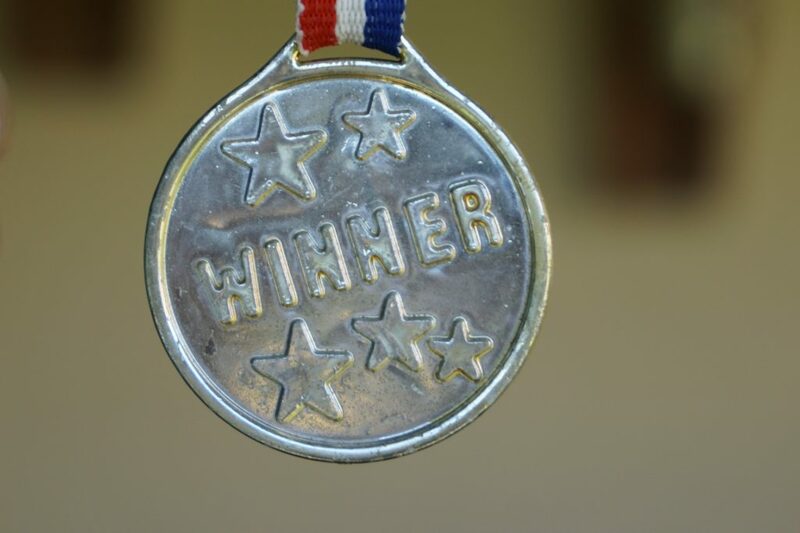 Consider what criteria will constitute scoring, and what constitutes a game-winning score. Small, inexpensive prizes can make things interesting, especially if they are theme-appropriate. Be sure the rules are simple and that they give everyone an equal chance. Also, avoid a situation where people are eliminated and must sit out while others continue the game. An ending tally of points is a better way to keep everyone involved. Some people seem to have a catalog of trivia questions with answers floating in their heads, available for recall at all times. For the rest of us, good sources of trivia questions are a must if we are to host a fun and drama-free event. It is always best to have a document answer to a question so that any arguments can be quashed, and a reliable source for questions with accurate answers makes everything go smoothly. Here are some of our favorite sources for trivia night questions. One simple solution to the problem of finding trivia questions and answers is to simply print out the questions you find on Trivia Bliss. All of these questions are free to use. There are printable quizzes in PDF format, or you can find the ones you like and copy and paste them to a document. There are other places on the web where you can find free questions as well, such as J-Archive for Jeopardy! questions. The questions for your trivia night should be challenging and engaging, but should not be so obscure that only one or two contestants might know the answers. They should also be fun, though, so remember to lob a few softballs in there. Cell phone apps offer a simple solution to the issues of planning and structuring gameplay for a trivia night. Mostly, they will all have questions and accurate answers at the ready, so the host or hostess can attend to other details. 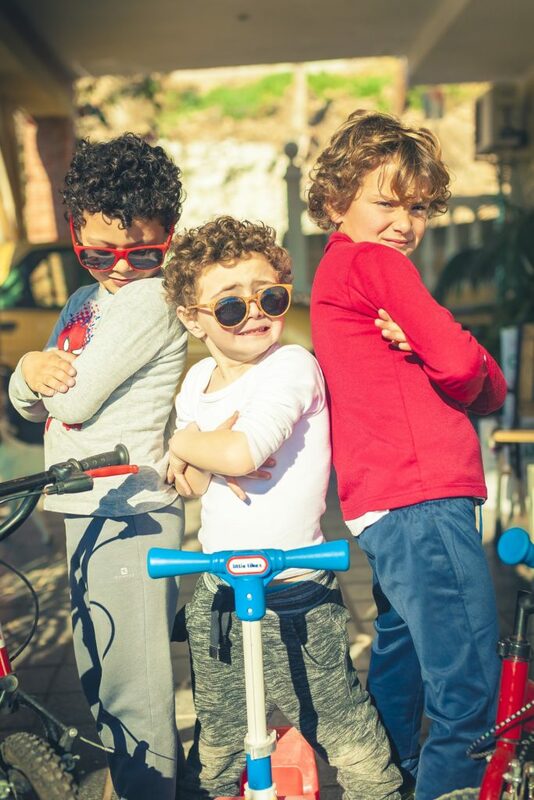 They are also either free or nearly so, making them the frugal solution to finding interesting and challenging trivia questions and answers. The following apps should all work for certain trivia night gatherings, though there are obviously many more on the market. Trivia Crack is one of the most popular trivia apps available for download. Its simple gameplay is one of its chief advantages over more convoluted games. Players spin a wheel, which stops randomly on one of six general categories. Answer the question correctly and you get to keep going. Incorrect answers result in a loss of turn. When one player answers the requisite number of questions correctly, that player wins. 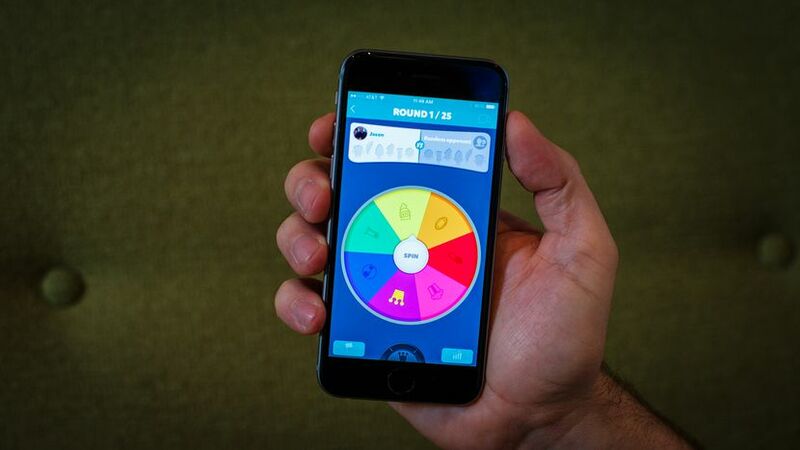 Trivia Crack is an excellent option for team-based trivia night. It has all the questions and answers ready for the games, so the host need not spend time collecting them. Teams can either take turns answering questions or discussion can be allowed, either way the game flows nicely. The questions are always a nice mix of easy and difficult, so all players should be able to offer answers. The updated version of the most popular player-versus-player interactive trivia game brings a few additional features that make the game more fun for many players. There is now a function that allows players to subscribe to a specific category, so they can now compete within a subject they are familiar with and not be bogged down by categories that stump them. The same features that made the first version a hit are still in effect, though they have improved functionality. Players can still be involved in one game while they wait on a player in another game to answer a question, and games can still be found through Facebook friends list as well as phone contacts lists. A great game is slightly better with this version, but the original version still has much wider acceptance. This fun and inexpensive app has several advantages over its competitors when played during a trivia night. For starters, you can select a single category from a list on the app and run through a randomly generated quiz. This option opens up a variety of game-play scenarios, and you can set up your own rules and scoring around the quizzes. Unfortunately, Sporcle does not include a head-to-head play option, so it is not suitable for a tournament format. It does keep score for you, though, so it will at least remove that headache from your trivia night. As a source of on-theme questions, and with its seemingly endless quizzes, Sporcle is hard to beat. This trivia game is based on the timeless TV game show, but it has a few twists that make it great for a low-key trivia night. Unlike the Jeopardy! app, players can challenge their social media contacts to head-to-head battles, making it great for a trivia tournament between friends and sports fans. Best of all, the app is free to download and is available for iOS and Android devices. does have one glaring issue, though. Sports are constantly happening, and the answers to some of the questions in the game are time-sensitive. As records are broken, the answers sometimes become dated and incorrect. However, a knowledgeable group of sports fans should be aware when these issues arise, and Google can solve the problem. Sports trivia also works great for a local bar in search of a trivia night theme. Consider timing trivia night around big games, say the day before the playoffs start. It gives people something to do on what is typically an off night, and it lets them know the bar is there. Once they are inside and having fun, unobtrusive signage about the upcoming sports events become less salesy, as they go with the whole theme of the evening. Besides rentals of online equipment, video game consoles can be a great tool for facilitating a trivia night. The Xbox and PlayStation platforms each sell games that can be used to great effect. There are services, such as Jackbox Games (linked above for each platform), that specialize in party games on various platforms. If you go this route, do not feel constrained by the rules of the game you purchase. You can always use a separate scoring system, with the game serving as your questions source. The game that started it all, Trivial Pursuit, can serve as excellent source of questions and answers for a trivia night. The prescribed game play will not likely work well for a large group, but using the question cards, you can set up your own game around the type of game you purchase. 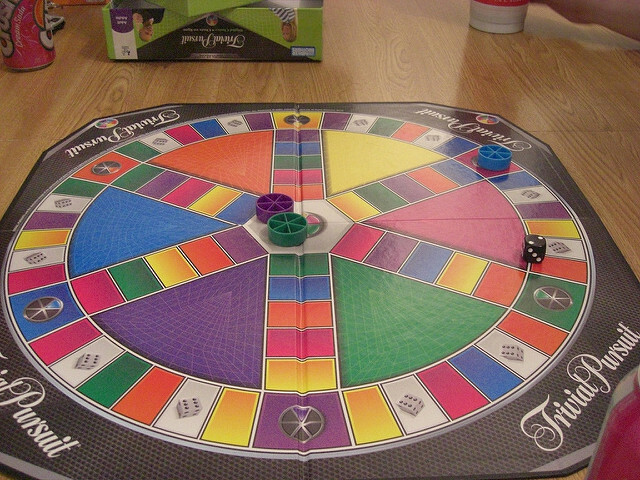 There are many themed versions of Trivial Pursuit on the market, but the original has the most varied topics. This option is last on the list because it is the last resort. The time it takes to collect questions and answers for a trivia night could be better spent on planning the event. If you are determined, or if your chosen theme simply does not have an easy question source, remember to include multiple-choice answers. They give teams the possibility of guessing the right answer, which helps keep one player from dominating the game. Knowing how to host a trivia night is one thing, but being an effective party planner requires more than setting up the game. For example, how will people know about your event? There are many sources of free flyers and invitations that you can use as-is or tweak to your own trivia night needs, but you can always make your own as well. Consider the timing of your event as well. Scheduling conflicts are often unavoidable, but you can lessen the likelihood of no-shows by setting a date that does not conflict with big events. So, no sports trivia nights on Super Bowl Sunday. One other consideration is what your guests will eat and drink. There is nothing wrong with a pot luck event for a small group of friends or neighbors, but larger groups will require food and drinks to be available. On-theme foods can help tie in the whole event. Sports themed events can feature stadium foods and sports drinks, for example. If your event is a fundraiser, the price of attendance should offset the costs of food, drinks, prizes and equipment and still leave a profit for your organization. Theme and Structure – Set your theme and structure based on who you are entertaining. Make sure the group will be knowledgeable about your theme. When in doubt, use general trivia and a team concept. Location and Setting – Choose a location well ahead of time and be sure your guests will be comfortable in the setting. Outdoors is fine in cool months, but mosquitos can wreck a party. Consider an event hall for large groups, but large living rooms are fine for gatherings of neighbors or friends. Equipment and Devices – Decide what equipment you will use and make any arrangements as early as possible. Equipment rentals can simplify things, but be sure your area is serviced by such a company. Phones, computers, TVs and consoles are good solutions, but be sure your choice works smoothly before the scheduled event. Test it all ahead of time! Sources for Questions – Your best bet for a variety of questions with accurate answers is, of course, Trivia Bliss. There are more than 100,00 trivia questions in a variety of fun and challenging categories. And, everything is free. Planning the Party – In the days preceding your event, gather all materials and supplies. 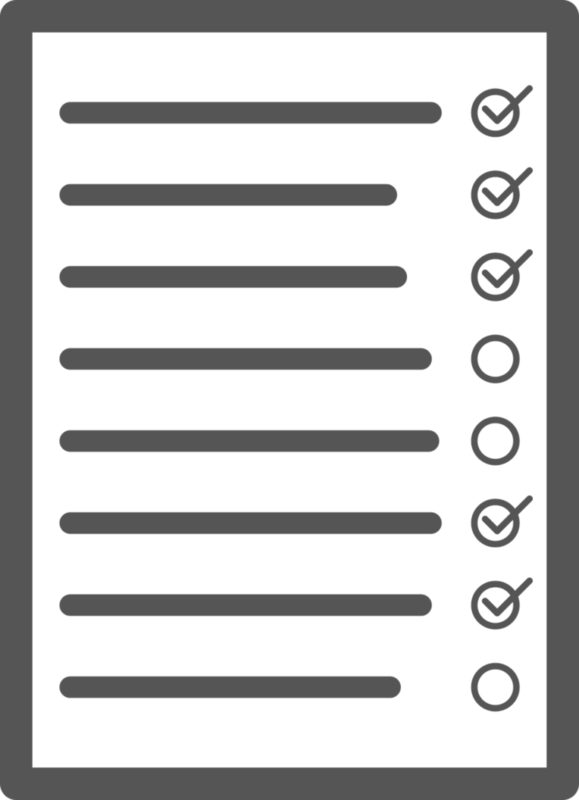 Create a checklist and go through it twice to be sure you are not forgetting anything. Will there be prizes for winners? Are snacks and drinks on the menu? Once the event has started, it will be too late to acquire these things, so prepare accordingly. Trial Run – Consider running through your game with a few friends or family members before the event to be certain your scoring system and rules allow things to flow smoothly. It is best to find glitches before the trivia night so they can be resolved. The larger the group in attendance, the more critical it is that the game run smoothly. Oh! And if you’re in an environment where you want to have music to keep the energy level high, check out this video from Last Call Trivia about how to build a trivia night playlist. So, in the end, what makes a good trivia night? The short answer is it only works if a competent party planner takes charge. But there is no wrong way to host a trivia night. The sources and ideas on this list are just some of the countless possibilities at your disposal. Regardless of the tack you choose, if you concentrate your efforts on ensuring that your guests have a good time, they almost surely will. How could they not? Everyone loves trivia! Do you ever wish you could just click a couple buttons and generate a quick trivia quiz that you can print out and use for a trivia night or to quiz your friends or family? I’m proud to announce that Trivia Bliss now has this function, and it’s live for you to use! If you need a super quick 15 question quiz, your best bet is to click on Random Trivia on the navigation or just to click here. This will bring up a randomly generated list of 15 questions, pulled from all categories in our gigantic database of questions. This is great if you just want to kill some time, test the breadth of your knowledge, or prepare a short variety quiz. And if you want to generate several random 15 question quizzes, just keep going to the random trivia page and click refresh. What if you don’t want to get a random set of questions? What if you want several specific categories or you are having a movie trivia night and need just a list of questions to print out on that topic? We’ve also created a quiz generator that lets you pick any topic and any number of questions you want! Click “Go” and your quiz will magically appear. A “Movies” specific quiz, made just for you. To print or share the quiz, just click the “Generate PDF” button, just like before. What if you want a couple different categories? Just go back to the main quiz generator page and choose a different category from the dropdown menu. Rinse and repeat! Using random quizzes like this is very good for either killing some time challenging yourself, or to practice for some kind of trivia event. If you’re on a quiz team in college or high school, or even if you’re practicing for your local weekly pub trivia night, focusing in on the category you want to improve at will get you up to speed very quickly. The randomness and the serendipity of the questions will definitely expose you to things you didn’t know; particularly with the thousands of questions in the database, you’re not going to run out. Heck, if you’re going to be on Jeopardy or even just playing Trivial Pursuit against your family, this can help get your feet wet. Have fun on your journey to being a Trivia Guru! Update: Below I’ve added a menu so you can generate a random quiz right from this page — give it a try. We’re proud to announce that Trivia Bliss is live and ready to go! All the categories are populated and you can get a huge list of questions on nearly any topic. If you want a great mix, the random trivia generator is the way to go. Thousands more questions will be added to the site very shortly. If you have any questions or suggestions don’t hesitate to get in touch. Who’s the lead vocalist for the band Editors? Arnold Cream was a famous (early) boxer – who? Which knighted actor co-founded the gay rights lobby group Stonewall?